I am misty. It is sad to see the end of an Era. 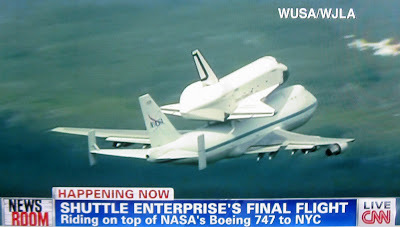 While we watch the last flight of the Space Shuttle Enterprise lets hope we will be around for the first launch of the Starship Enterprise.